U.S.A. -(Ammoland.com)-– Everyone has that kitchen drawer. That’s the one where a book of matches, take-out menus, extra cell-phone power cords, pet treats, a pack of gum and a hammer are kept. That is, of course, if you could only find them under the rest of the junk in there. That’s sort of what our state-by-state landscape looks like when it comes to firearms legislation after this week’s midterm elections. It’s ugly, but if you dig, there’s something worth finding. Seven states will see new Democratic governors in the New Year. Those include Illinois Democrat J.B. Pritzker, who defeated Republican Bruce Rauner and Kansas Democrat Laura Kelly, who beat Kris Kobach. Michigan Democrat Gretchen Whitmer came out on top over Republican Bill Schuette. Meanwhile, in Maine, Janet Mills topped Republican Shawn Moody. Nevada Democrat Steve Sisolak ran away with the election over Republican Adam Laxalt and, in New Mexico, Democrat Michelle Lujan Grisham bested Republican Steve Pearce. Wisconsin Democrat Tony Evers eked out a win over out Republican Scott Walker. Going into the election, there were 36 gubernatorial races, with 16 held by Democrats, 33 by Republicans and one by an independent. That split is now 23 for Democrats and 25 for Republicans. In one remaining race, Georgia’s Republican Brian Kemp declared victory over Democrat Stacey Abrams, who isn’t conceding, saying the race is still undecided. Kemp holds a slight lead and if it is less than one half a percent, it will be headed for a recount. Things got even tougher, even in states where it was already tough. California elected Democrat Gavin Newsom, who campaigned on a platform that some of the strictest gun laws in the country weren’t strict enough. Illinois’ Gov. Rauner has signed restrictive legislation in the past, but he’s also vetoed some bills that were disastrous for the firearms industry and gun owners. We all know, though, that governors don’t make gun laws by themselves. Those originate in the statehouses and 46 states held contests for more than 6,000 seats. Six chambers in state capitols flipped from Republican to Democratic control in Connecticut, Colorado, Maine, Minnesota and New Hampshire. Democrats in New York have had a numerical advantage for some time, but that state’s Senate was controlled by a coalition of Republicans. Still, Republicans maintained hold of 62 of the 99 state legislatures (Nebraska’s is unicameral and nonpartisan). Those included races in Arizona, Florida, Minnesota, Michigan, Pennsylvania, Virginia and Wisconsin that were held by less than 10 seats. Much of the fight on gun rights is happening in the states. Take, for instance, the ban on modern sporting rifles. The federal ban expired in 2004, but since, California, Connecticut, the District of Columbia, Maryland, Massachusetts, New Jersey and New York banned the most popular selling rifle. These states also outlawed standard capacity magazines for modern sporting rifles and some handguns, as did Colorado and Vermont. Ballot initiatives make it even more difficult to predict the future of firearms-related legislation in the individual states. 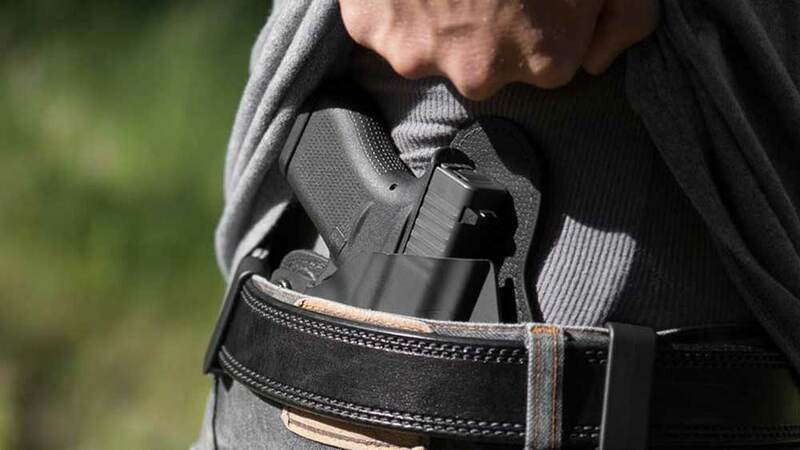 Voters in the Washington state voted to pass the I-1639 ballot initiative, putting Washington on par with California, Massachusetts and Hawaii as having some of the most restrictive firearm laws in the nation. A few of the many requirements imposed by I-1639 are: raising the minimum age to purchase a semi-automatic firearm from 18 to 21, creating new background check requirements, mandatory training requirements for gun purchases and new storage requirements for law-abiding gun owners. But all wasn’t bad news. North Carolina voters approved state constitutional protection for hunting and fishing, backed by NSSF and other sportsmen and conservation organizations that ensured this heritage for future generations. North Carolina becomes the 22nd state to constitutionally protect hunting and fishing. We’re still sifting through all the results. Tune in when NSSF hosts webinars on what the midterm election results mean to our industry and what we can expect. You can know this much: NSSF will remain engaged, fighting against legislation that hurts our industry and that infringes on our rights while working to make America safer while respecting our liberties. The National Shooting Sports Foundation is the trade association for the firearms industry. Its mission is to promote, protect and preserve hunting and the shooting sports. Formed in 1961, NSSF has a membership of more than 6,000 manufacturers, distributors, firearms retailers, shooting ranges, sportsmen’s organizations and publishers. For more information, log on to www.nssf.org.